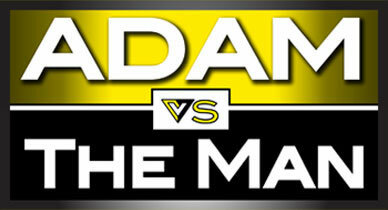 Live on Adam vs. the Man Tonight! | DAVE CAHILL | Singer, Songwriter, Producer, Dissident. Live interview on Adam vs. the Man TONIGHT! I am excited to say that I will be interviewed on one of my favorite podcasts, Adam vs. The Man, live tonight at 11pm (show begins at 9pm). Michael Heise is hosting and the interview will begin immediately following my performance this evening with Ammunition at John & Peter’s in New Hope, PA.